The image is made up of different architectural images to display the word Fiance. Add a special message to the label over 3 lines with up to 20 characters in top right of the label and up to 2 lines of 30 characters along the front of the label. 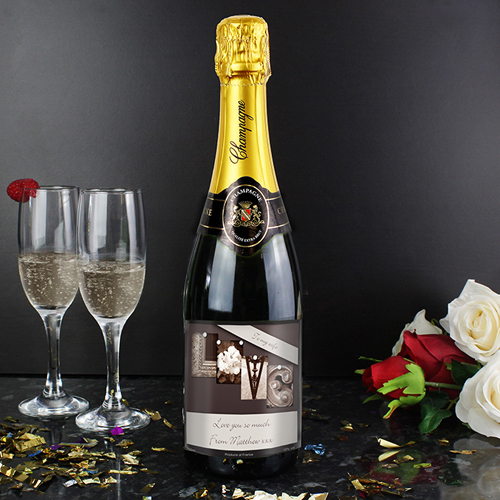 The bubbly itself is a high quality champagne that has been specially selected by the Association of Merchant Vintners and will certainly make that special occasion go with a swing! Personalise 3 lines with up to 20 characters in the top right of the label and up to 2 lines of 30 characters along the front of the label.